Once upon a time, some young people decided they wanted to become a rock band. They got so excited thinking about fame, fortune, and popularity. They talked for days about what the name of their band should be, what songs they’ll sing, what they’ll wear, and the kind of image they wanted to project. At the end of their meetings, they were full of themselves and couldn’t wait to tell their friends. They were completely ready to become rock stars, except for one detail that stood in their way. They didn’t know how to play their instruments! This story reminds me of the church. You can’t organize a church into being. Meetings do not a church make. A new name does not make a new church. Buildings, parking spaces, and technology are not the foundation of the church. No, it is people ~ committed people, spirited people, talented people, compassionate and giving people, who in community understand they are the body of Christ. There are no shortcuts to being the Church. The Church is the instrument of God, an instrument that requires practice, an instrument that plays the joyful and calling music of justice, peace, hope and love, an instrument of faithful commitment to prayer, worship, witness, evangelism and action. The Church does not strive for popularity, it strives for community, a oneness through love and understanding. The call to be the Church is not for ‘groupies’ (those who follow the band), but for ‘disciples’ (those who follow Christ). A rock band thrives by having groupies. The Church thrives by having disciples. A rock band needs ‘roadies’ to help set up the band on the stage. The Church needs ‘radicals’ with the courage to take the Good News of Jesus into all the world! Over the years, people have asked if I am a music minister and if I do concerts. I’m humbled by these questions, but always let them know that I’m not a music minister and I don’t perform musical shows. I am a preacher, a servant evangelist who uses music to enhance my messages and to lift the spirits of the people. Sometimes I’ll write my songs from the sermons, while other times the sermons come from the songs. But every song I write has a complete message that I feel stands on its own. In almost 50 years of ministry, I’ve discovered that the combination of sermon and song greatly strengthens a presentation by making it more memorable and focused. Yes, I suppose there’s a part of me that would like to be a musical performer. But what really gets my heart going is using all the gifts God has given me to share his prophetic message. I’m also blessed to have children, grandchildren, and good friends gifted in creating music with meaning and purpose. They continue to surround me with their talents and are on all my recordings. We’re extremely proud of the music we’ve produced over the years and are excited to share it with you. Click the Music of the Ministry tab to listen and download the music. 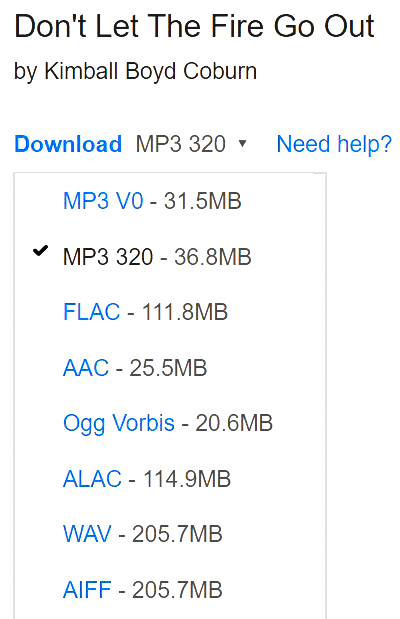 For the highest quality sound, go to Bandcamp and follow the steps and choose from a variety of digital formats. Or simply let us send you any – or all – CDs. The price? It’s my pleasure to share our music free of charge with the hope of encouraging you in your faith.